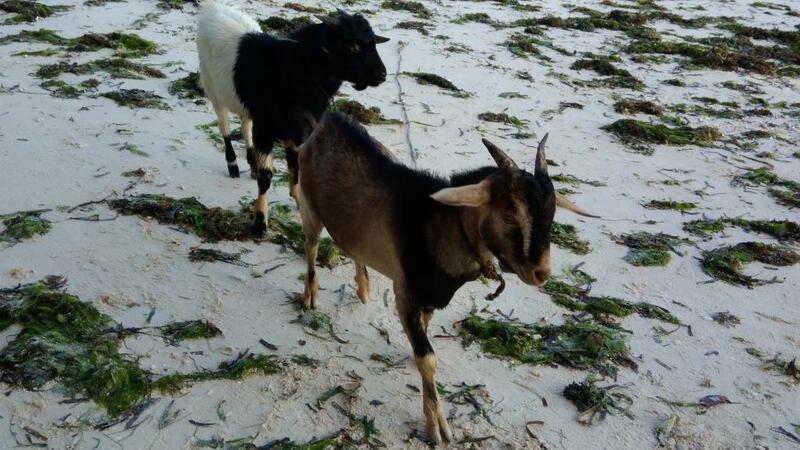 to the one asking for bums, there are goat bums for ya. @Takeovers - thanks for the pic. Was that taken before or after the 2013 earthquake? Since the Baclayon Church has been newly renovated, it doesn't look old anymore. (The old-looking church had more character, IMO). 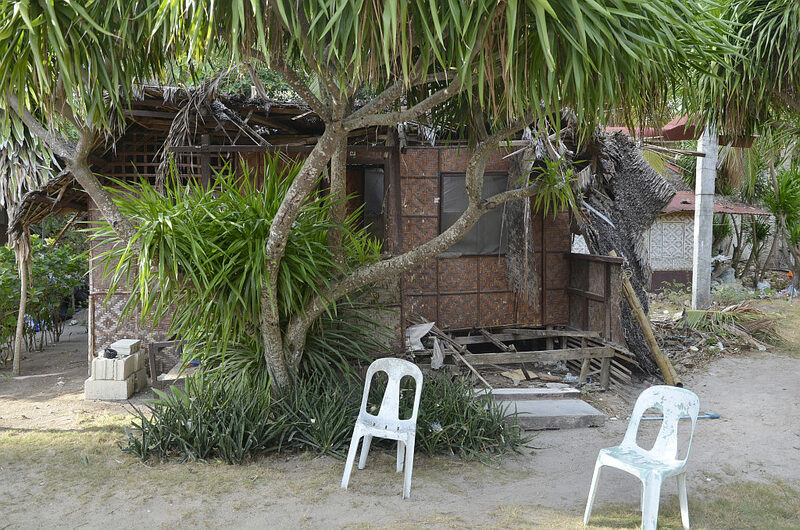 Re: Alona Beach, I was not impressed with it. 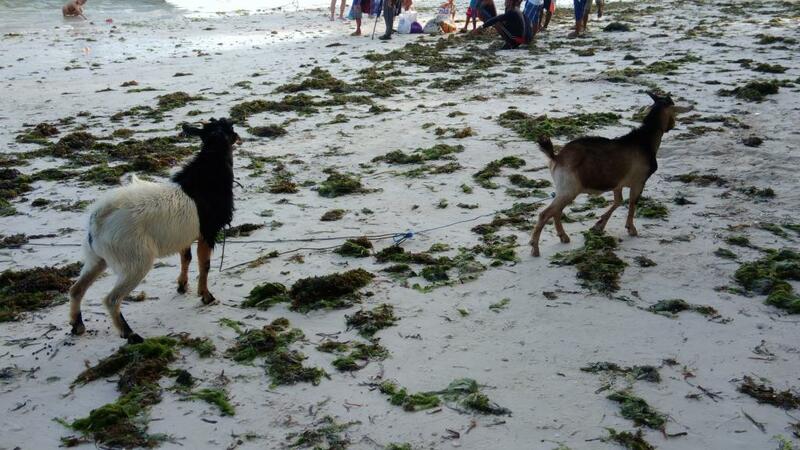 There were lots of sea grasses & algae on the beach, nobody swept it -> so the beach looked dirty. There was also a type of "walking street" lined with shops and restos, it had a very commercial feel to it. Felt like I was at a mini Station 2 in Boracay. There were also noticeable restos with Chinese signage - and my feeling was, oh no, the Chinese have invaded Bohol! 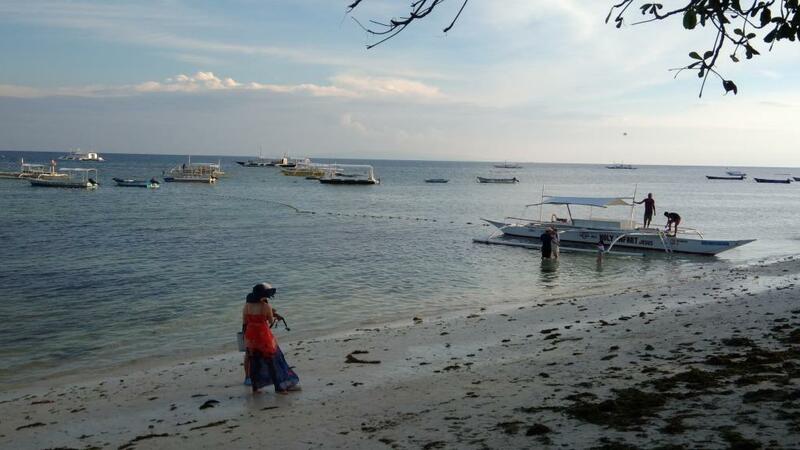 During our time at Alona Beach and swimming/ snorkelling, we saw some Chinese groups. 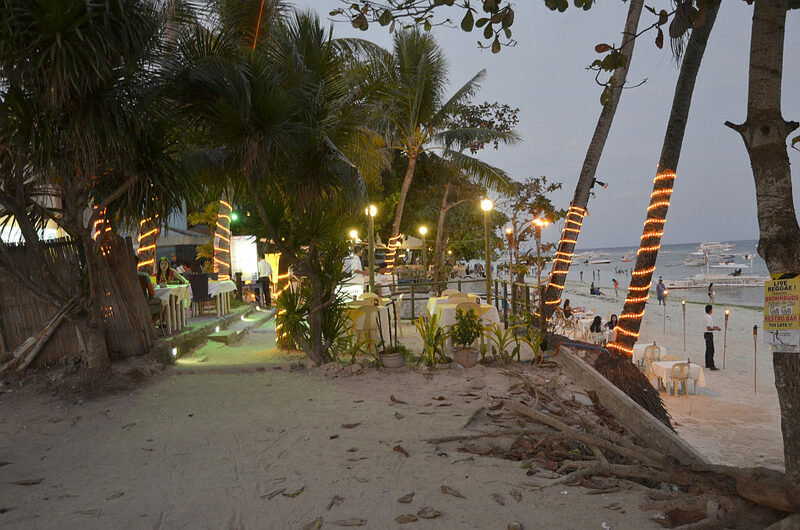 At Alona Beach, the boatmen & resto touts were saying "Ni hao" to the foreign-looking tourists. 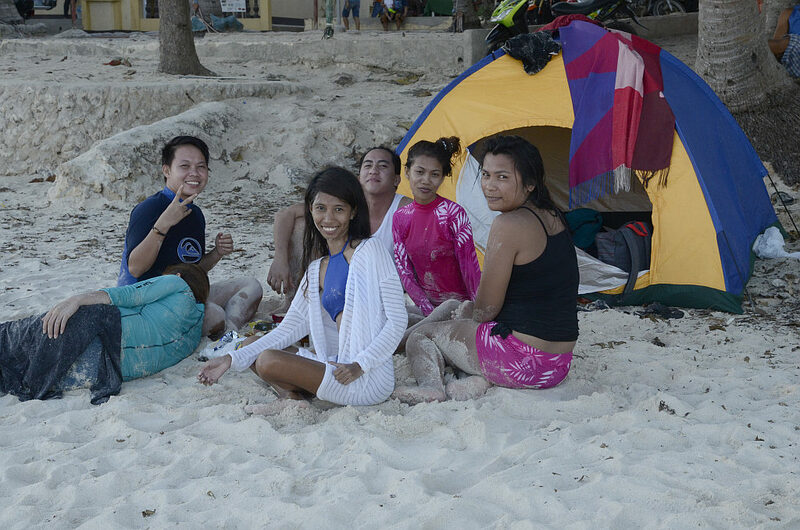 All of us in our group were glad that we were billeted at Dumaluan beach, which was quieter. The pic is from 2017. Most damage repared. When we were there in April/May the visitors were almost exclusively Koreans. About the sea weeds. They rake them into piles every day. Then they bury the piles a few cm deep into the sand. After the next high tide they predicatbly show up again and the process repeats. They have been doing this for many years. 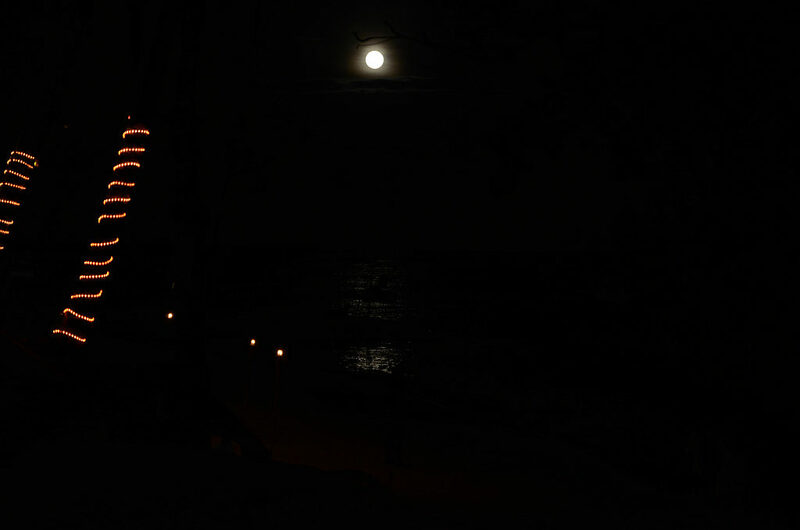 My memories of Alona Beach span several decades. First time there were only a few fisher boats. Nobody even thinking of tourism. I think Playa Blanca was the first resort. Not connected to the grid and the generator shut off at 10:00 PM which was great. Complete darkness and I saw the milky way for the first time in its full splendor. I had never been in a place dark enough to see it clearly before. The huts are still there or were in 2017, but unused and beyond repair. We stayed there when the children were very small. They are now both above 30 years. So it was about 30 years ago. We stay at Alona beach for a few days on every visit. Korean women always come in pairs. So they can take photos of each other. At a small eatery besides a massage parlor. I had a little chat with the girl in the middle. Until the boss of the parlour came out and told her to stop being naughty. Can you imagine her being naughty with that face? A Filipino family. They staid over night with this tent at the beach. A snack at the beach. Vendors are rare now, no longer allowed. When the beach was not so crowded, I used to snorkel out to the reef. It was beautiful with corals and fish. Even the occasional Tridacna Shell could be seen. It got continuously worse. Water pollution but more so the ships throwing down their anchors have all but destroyed it. Visitors are still mostly divers but they take boat tours out to places worth visiting. Snorkeling out is also too dangerous now for all the speed boats. I tried in 2017 but won't again. It is no longer worth it. Last edited by Takeovers; 07-11-2018 at 12:30 AM. "don't attribute to malice what can be adequately explained by incompetence"
I once saw one at that place while snorkeling. I also saw a red lionfish. Not recommended to step on one. Crikey, that would have cut my snorkelling short. 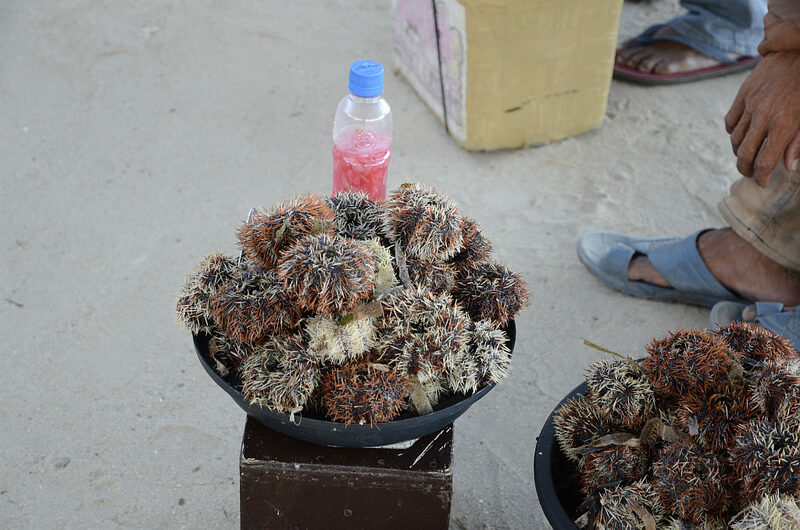 @Takeovers - there were no vendors of sea urchins at Dumaluan Beach. However, there were some discreet vendors of cultured pearls & similar stuff. Some of my friends bought pearls for friends/ family. I didn't, since I already have some that were bought at the stalls in Festival Mall in Alabang. 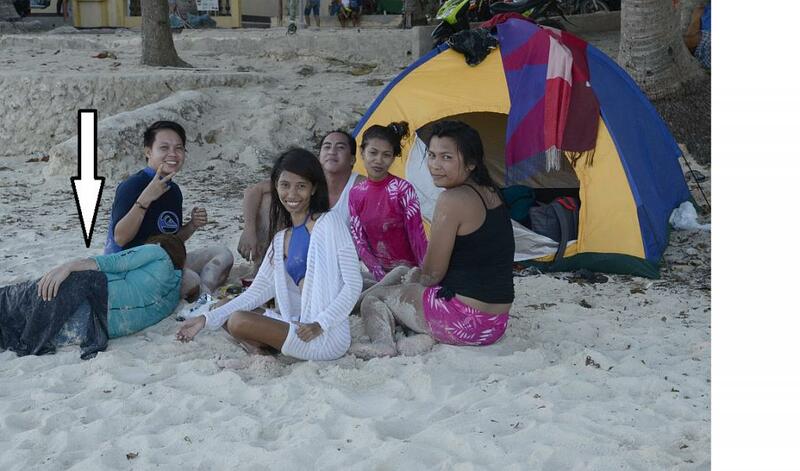 Re: Korean women, met a small group of them outside Hinagdanan Cave. I was looking at some souvenir shirts and they were looking at sun dresses. One of them was choosing between a black flowery one, or a red one. I butted in and said that the red one will look better on her because she's fair-skinned and will also look brighter in pics. But she said that the black one was also nice. So I said, then buy both. Lol. I left that store to look at others, but later on, I saw that she bought the red one. Good choice. Sometimes we women need another girl's opinion when buying stuff. I sometimes even ask sales ladies for their opinion. Re: snorkelling, during Day 2 of our trip, we went on a boat tour to see some dolphins - and yes, we saw them rise up for air. Then we were brought to another place for snorkelling (corals & fish were nice). Then to a sandbar for some swimming & pic taking. Saw quite a few Chinese groups while we were out on the boat.